Take, for example, the criticism that EVEL has not improved England’s ‘voice’ at Westminster. In its review conclusions, the government repeatedly states the opposite position, for instance claiming that EVEL has ‘strengthened England’s voice, just as devolution has strengthened the voices of Scotland, Wales and Northern Ireland’. Yet this assertion lacks foundation, and is at variance with other recent assessments. We showed in our report that the new EVEL ‘legislative grand committee’ stages introduced by the government have been almost entirely perfunctory, with most lasting an average of around two minutes each. And we concluded that, while EVEL has been successful in providing a right of veto for English MPs, it has done very little to achieve any meaningful sense of ‘voice’. The influential cross-party Commons Procedure Committee similarly concluded that the new processes ‘are not effectively serving the broader objective of [providing … ] a separate voice’. The government insists otherwise, but does very little to explain why. Just as importantly, its insistence that EVEL can be seen as an equivalent of sorts to devolution elsewhere in the UK lacks plausibility, and is an instance of the kind of ‘over claiming’ in relation to EVEL which has been a consistent feature of the government’s presentation. A second familiar criticism of EVEL is that it is far too complicated in character. The procedures create the potential for up to eight additional stages within the legislative process when votes might be held. In its review the government acknowledges complaints about complexity, but responds that ‘In the absence of any incident where [EVEL …] failed to ensure that the Parliamentary process is delivered, the Government does not believe a redraft is required’. This also looks like an attempt to wish away a genuine problem, rather than meaningfully address it. The opacity of the current procedures is a weakness, for different reasons. For a start, it heightens the likelihood that MPs will not understand the system, and this might become a significant problem should the rules become implicated in a major political disagreement, or a wider constitutional crisis. And second, the complexity of the rules threatens to make parliamentary practice less accessible to the public – something that conflicts with the very purpose of EVEL. Given the additional legislative burden that Brexit is very likely to place upon parliament in the next two years, these are serious concerns. The legislation associated with the repatriation of powers from Brussels may throw up unanticipated scenarios that call into question some of the key features of a scheme that has not as yet been properly ‘stress tested’. In EVEL’s first year of operation, the government has generally been able to command a majority both among English MPs and across the whole House. But Brexit could well bring to the surface new tensions and disagreements within the Conservative Party, and the EVEL procedures may become an additional site where such conflicts are played out. In particular, events may well shine fresh light upon the limits of EVEL. Although English MPs have obtained a veto right in certain circumstances under these procedures, legislation continues to require the backing of the whole House to pass into law. This means that the votes of non-English MPs can continue to be decisive on England-only policy matters, as occurred last year on Sunday trading (in relation to England and Wales). Similar episodes could plausibly arise in the near future, for example on the question of grammar schools in England. In a context where there is growing sensitivity among the largest populace within the UK about the deal that England receives within the Union, such a scenario could have far-reaching constitutional consequences. Ultimately, this review represents a missed opportunity to revise and improve this set of rules. EVEL is now an important part of the ‘rules of the road’ used to conduct legislative business at Westminster. And, in a context where those rules may well be severely tested, the decision to close down this opportunity for parliament to engage in meaningful debate about them is regrettable, and may prove to be short-sighted. 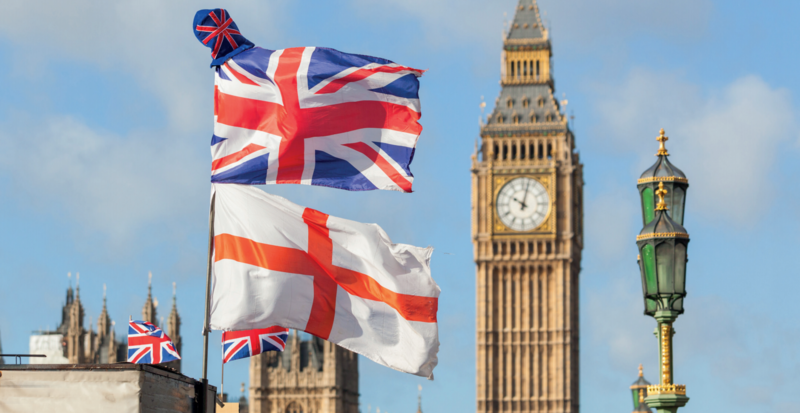 You can view Daniel Gover and Michael Kenny’s report, Finding the good in EVEL: An evaluation of ‘English Votes for English Laws’ in the House of Commons, at this link. This post was originally published on the Constitution Unit blog. Michael Kenny is a Professor in Politics at Queen Mary University of London, and Director of the Mile End Institute.